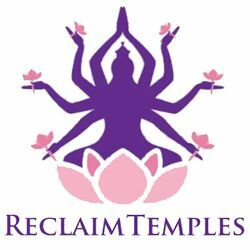 In 2018 , we embarked on the project to rebuild all ancient Hindu temples that were lying in ruins as they were destroyed during various riots and invasions. The project involves volunteers travelling to locate and document such temple sites. As of now more than 50 Hindu temples has been documented in Kerala of which restoration work of two temples have been undertaken. We estimate more than 300 such Heritage sites lying in ruins and there is an urgent need to undertake the documentation and restoration of as many such Heritage monuments as possible. If not they will soon be lost to vagaries of nature as well as encroachment. We undertake the reconstruction of temple basis the funds available at our disposal. Hence we have started the Temple Restoration Fund to be used for reconstruction of Hindu temples lying in ruins and fulfil the desire of local community to restart worship at the temple where their ancestors prayed. Updates of the project are regularly send over mail and also via WhatsApp.